An expert on things to do, places to see, and where to eat and stay in Memphis, Tennessee, Holly Whitfield has lived in Memphis since 2005 giving her the insider's edge on all things Memphis. Since 2013, Whitfield has been the writer behind the popular "I Love Memphis" local blog, (ilovememphisblog.com) and co-host of the I Love Memphis podcast for the Memphis Convention and Visitors Bureau. She is the resident expert on Memphis culture, dining, music, art, and events for various media outlets and projects. She appears regularly in local radio, television, digital, and print media (as well as at local festivals, cooking competitions, panels, and charity events) as an expert on Memphis as a destination and one of the best places to live. Her journalism career and love for Memphis was sparked when she became the editorial director for Memphis' daily newspaper, the Commercial Appeal, on living in Memphis. Whitfield is a former travel writer for Tripsavvy. She was a regular contributor specializing in all travel-related articles on Memphis like reasons to visit the city, the greatest bars in town, where to find the best barbecue meals, and so much more. 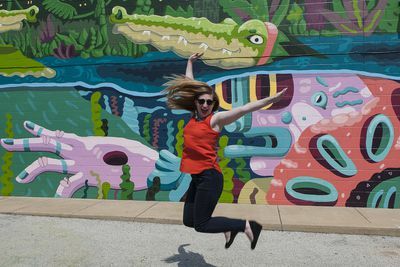 In the fall of 2013, Holly joined the Memphis Convention and Visitors Bureau to take the helm of the popular "I Love Memphis" blog. She writes daily about the city's food, culture, people, sports, events, and more, reaching a dedicated local audience and a growing audience of national and international readers via the blog and its popular social media channels. As the editorial director for special publications at the Commercial Appeal, Memphis' daily newspaper, she wrote about music, culture, sports, health, home and garden, weddings, small business owners, and food in Memphis. Holly earned her bachelor's degree in creative nonfiction writing from the University of Memphis in Memphis, Tennessee, in 2005.